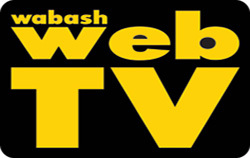 The Wabash boys cross country team won the Three Rivers Conference title on Saturday. 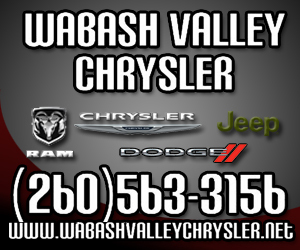 Wabash scored 21 points to easily outdistance second place Rochester, which scored 76. Manchester finished third with 102, while Northfield was fourth with 140 and Southwood was fifth with 145. Rounding out the conference teams were Maconaquah, Peru, Tippecanoe Valley, Whitko and North Miami. Wabash’s Dereck Vogel led the way as the individual TRC champion. Teammates Koby Prater, Zack Reed Blakley Cole, and Aaron Nickerson finished third, fourth, fifth and seventh, respectively. Jarrett Wilson, Ben Hewitt, Caleb Callahan, Wyatt Davis, Sammy Smith, and Ethan Berry all ran personal bests for the Apaches. It was a tale of turnovers for Northfield’s football team in Friday night’s football clash with Maconaquah at Northfield. Trailing just 15-13 at the half, the Norse (3-4) gave up a 48 yard interception return for a touchdown, and then a 45 yard fumble return for a touchdown to give Maconaquah a 30-13 advantage and eventually a 37-20 victory. Northfield was intercepted once, and fumbled five times, losing two. Cole Rosen scored on a 90-yard kickoff return for the Norse. Levi Fulkerson found paydirt on a one yard plunge, and Jarret Shafer added a one-yard touchdown run in the loss. Fulkerson led the ground added with 27 carries for 100 yards. Fulkerson was also 3-of-13 through the air for 37 yards and an interception. About 25 years ago, families from Northfield and Southwood wanted to have competitive soccer for their high school students. Neither school had a team, and families like the Coffmans, Kramers and Downeys, were involved in getting Metro Rage started. 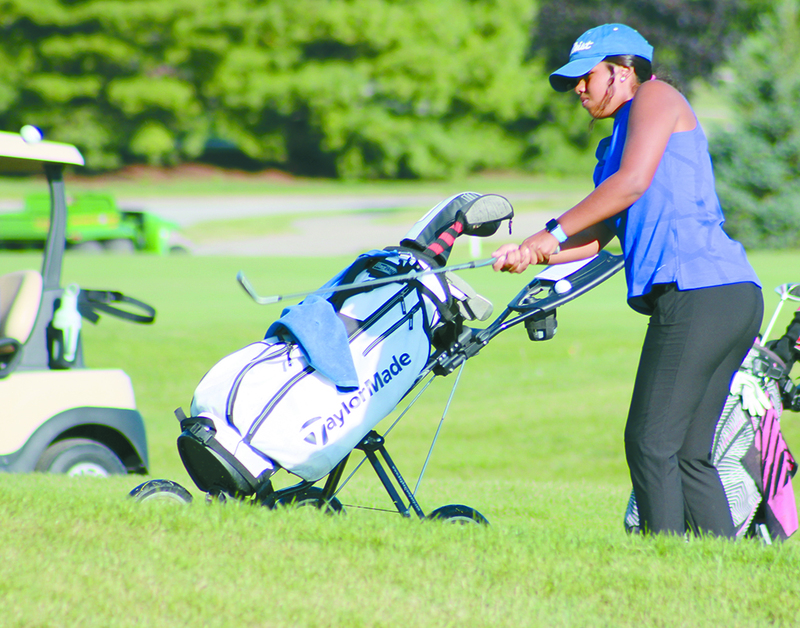 KENDALLVILLE -- Girls golf season came to an end in the regional round for county golfers, with a Manchester High School golfer missing advancing by one stroke. Here are last week’s results along with pairings for this coming Friday night. Northfield bested Manchester 42-21 and Southwood beat Wabash 31-6. Manchester hung close with the Norse, trailing 28-21 after three quarters. However touchdown runs by Alex Haupert and Clayton Tomlinson (his third on the night) iced the game for the Northfield. Grayden Holmes and Braden Ripplinger also scored for Northfield, while Delton Moore, Tyce Rooney and Seth Gaerte all scored for Manchester. Manchester's Madyson Ulery tries to make her way around treeson Saturday during the Eastbrook Girls Golf Sectional. Manchester finished second in the tourney. Photos by David Fenker. MARION – Manchester’s girls golf team and one Wabash golfer advanced Saturday from the Eastbrook Golf Sectional. Manchester finished second in the sectional to Huntington North, shooting a 361 to the Lady Vikings’ 345. Eastbrook was third with 376, while Wabash was fourth, shooting a 385. The Lady Apaches missed the cut for going to regional by nine strokes. However, Bella Carrillo, who shot an 80 on the day to finish second, advanced as one of three individual golfers. Northfield shot a 411 to finish seventh. Southwood did not have a complete team at the event. Halfway through the regular season and teams are starting to settle into their routines. This past weekend’s scores were Maconaquah beat Wabash (0-4) 48-20, Southwood ran their record to 4-0 by beating North Miami 28-6. Northfield is now 2-2 after a 27-7 win over Tippecanoe Valley and Manchester is now 2-2 with a hard fought 34-31 win at Peru. Northfield enjoyed a balanced offensive attack Friday, rushing for 164 and passing for 148 in a 27-7 victory over Tippecanoe Valley in local prep football action. Quarterback Levi Fulkerson ran for a pair of first half touchdowns, and Clayton Tomlinson added a 55-yard interception return for a score as the Norse (2-2) built a 21-0 lead by the half. The squads traded scores in the third quarter to round out the scoring. Braden Ripplinger scored on a seven-yard run with 2:02 left in the third to put the Norse up 27-7. Fulkerson led Northfield with 13 carries for 68 yards, and completed 7-of-11 passes for 148 yards through the air. Cole Rosen added nine carries for 43 yards, and two catches for 51 yards.